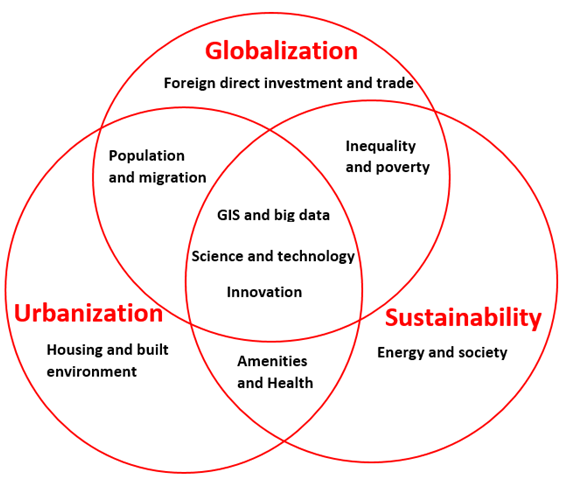 The research emphasizes the roles and impacts of GIS and big data, science and technology, and innovation on investigating and solving the relevant problems. Current projects of the lab include foreign direct investment, migration and urbanization, and housing and built environment. Details of these projects could be found on the Projects page. Three collaborative projects on inequality, physical activities and health, and housing and transit systems will start this December.